Many scientists have done studies on the healing properties of water, including those who have observed differences between municipal tap water, vs. the healing waters of famous locations (i.e., places famous for longevity - where people tend to live much longer and healthier lives than we do). The water from sources, such as Lourdes in France; the glacial rivers of the Himalayas; and the mountain streams of Vilcabamba, Equador has been studied by scientists for over a hundred years. Researcher, Dr. Emoto, called the water “hexagonal water”. Dr. Ben Johnson called this water “antioxidant-rich”, “negatively-charged” antioxidant-water. Dr. Gerard Pollack called this water “structured water”. They are different ways of saying the same thing, but more about each below. Dr. Pollack’s “structured water” theory seems the most scientific and in-depth. Seeing that he is an electrical engineer; bio-medical engineer; and has the facilities of the University of Washington at his disposal in his research, I'm sure helps to account for his recent advancements in the subject. Dr. Pollack states that water within a healthy cell has a significant negative charge, but in a diseased or dying cell the negative charge is much less. As cellular water loses its charge it loses its structure quickly, and this signals that the cell is dying. He also says that with negatively charged water it lines the water up in the right way for cells to be hydrated and is a fundamental attribute of all life. He theorizes that as the body strives for the highest negativity (negative charge within cells) it can get - it can reverse pathology (disease). Here is an interview where Dr. Mercola and Dr. Pollack discuss what structured water is and its implications to health. 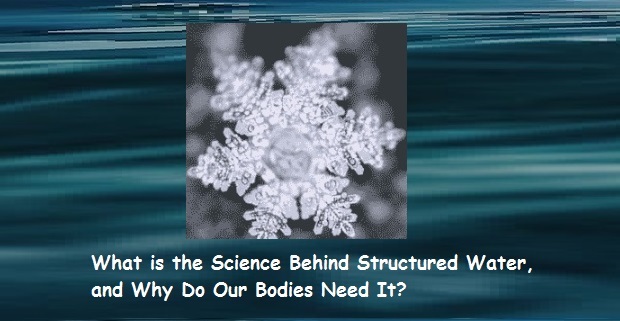 Dr. Pollack theorizes that the negative charge of the structured water is at least a significant part of all life. He is still testing his theories, but states that, “if you’re able to drink structured water, it would be good for your health”. Ionized-water-longevity is a topic that has been around for a long time, but is somewhat suppressed in the US. It's understandably not backed-up by the drug companies, and so the medical community has not had monetary encouragement to study it seriously. Researchers, such as Alexis Carrell and Otto Warburg were the original pioneers of this century-old discovery. Most research has been done in Asia, but thanks to Dr. Pollack and others, the road has been paved for more and more doctors in the US to study this important topic. Among the studies that have been done, including doctors-reviews-about-alkaline-ionized-water, the results are very impressive. Drinking structured water, or ionized water, makes sense for health and could explain why the various, famous “healing waters” found in pockets around the world (all alkaline and negatively-charged) have worked for centuries to cure people, with no more than just the water. It also explains why drinking alkaline ionized water has changed my life and the lives of my entire family to be far healthier ever since we purchased our first alkaline water machine back in the mid-nineties.